Hooray! You are now completing your fortieth and final week of your third trimester. You and your baby have impressively reached the expected due date calculated at your first office visit in Week 8. Your baby may measure approximately 18-20 inches in length and weigh somewhere between 6-9 pounds. Don’t forget, healthy babies range from short to long in length and lean to chubby in weight. All shapes and sizes are nestled in the category, miraculous, when born safely alive and kicking! If your baby has not arrived on time, please don’t be surprised or upset. Many moms have babies past Week 40; this is a crucial time during pregnancy as the amniotic fluid surrounding your baby is beginning to decrease and the placental function needed to sustain your baby’s life may be beginning to slow. You will need to discuss with your health care team the probability of when to expect your baby’s arrival or the possibility of planning your baby’s delivery day. Ask, specifically, how long beyond your expected due date you will be allowed to wait if labor does not begin spontaneously? What additional monitoring will be implemented? Will special tests such as NSTs’ be performed on a daily basis? Will you have weekly or more frequent BPPs’? Is an induction necessary and if so, when? What exactly is involved in an induction? 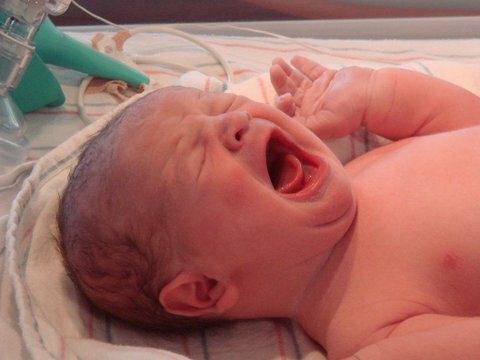 What about scheduling a C-Section? What is your health care team’s overall plan? What is their protocol? Sometimes the birth plan doesn’t go exactly as planned or even desired. If your plan becomes altered, you should be educated and familiar with your options ahead of time. This will help ensure that you are comfortable making the very best decisions for you and your baby with your team. A healthy outcome for you and your baby is paramount after the 40-week gestational marker has elapsed. Pay extremely close attention to any changes in your or your baby’s health; this is key. Contact your health care team at any time with any questions or concerns you have until your baby is safely in your arms. Don’t forget to do your movement counting three times a day! A proactive, vigilant mom will feel empowered to ask her health care team the simple, yet important questions that can make a difference in her baby’s health. Operation Due Date empowers expectant moms by educating them about healthy pregnancies, fostering an awareness of their babies’ daily fetal movements, and the actions they can take to help ensure their babies come into the world safe and healthy.